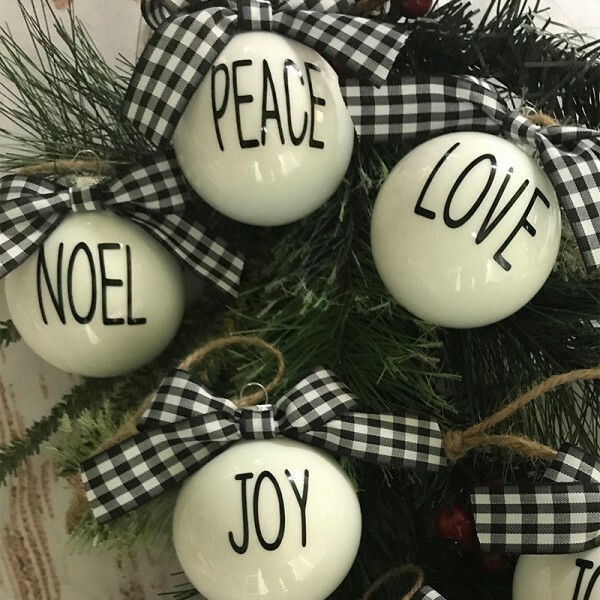 A white ornament with a gold detail and red ribbon. 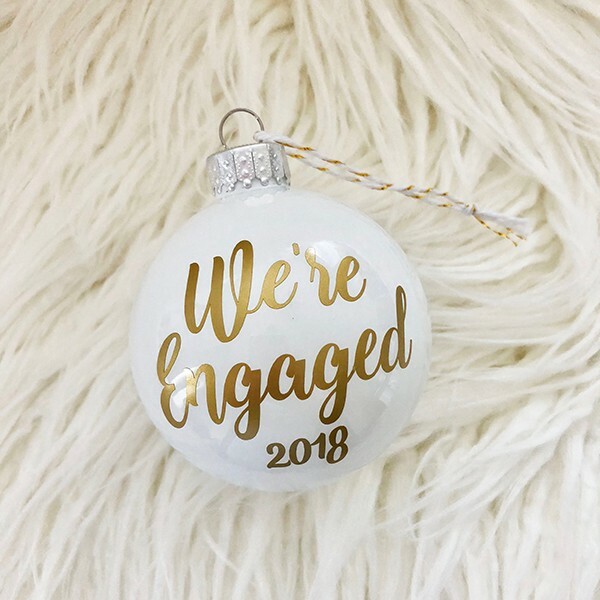 Permanent gold, outdoor vinyl is used for the lettering on the ornament. 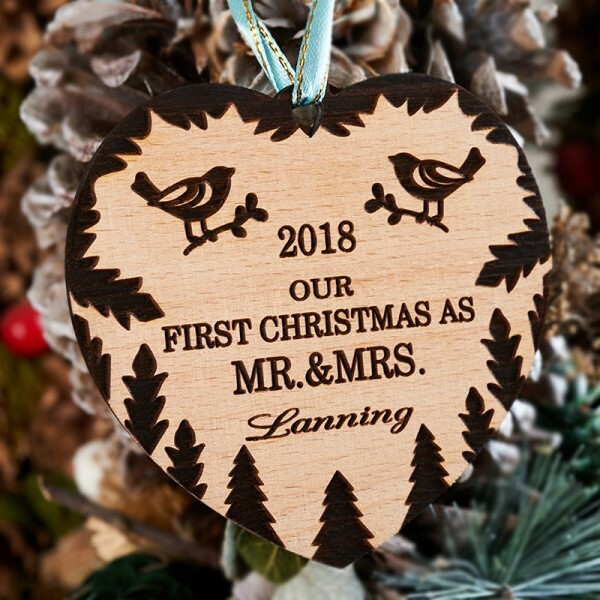 Each last name is personally handwritten in calligraphy, digitized and printed in vinyl. 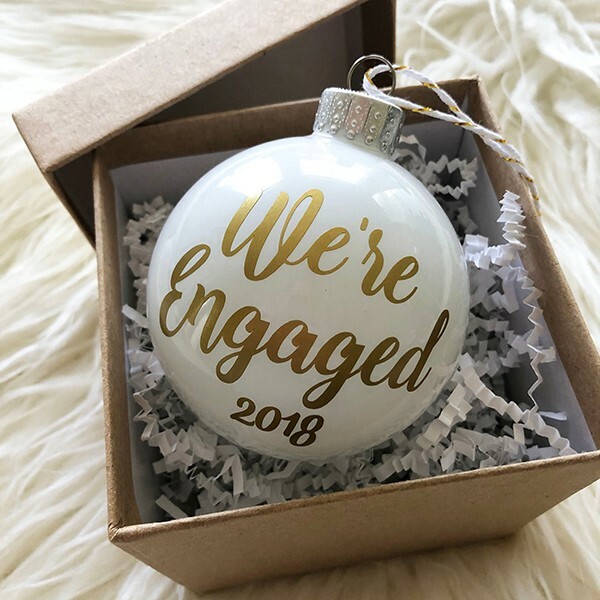 Question about 2018 Personalized Engagement Christmas Ornament is Successfully Submitted.